BRYAN EATON/Staff photo. Margaret Newsome, left, and Janet Robinson sit in the sun on a bench at Alliance Park in Amesbury on Thursday morning. 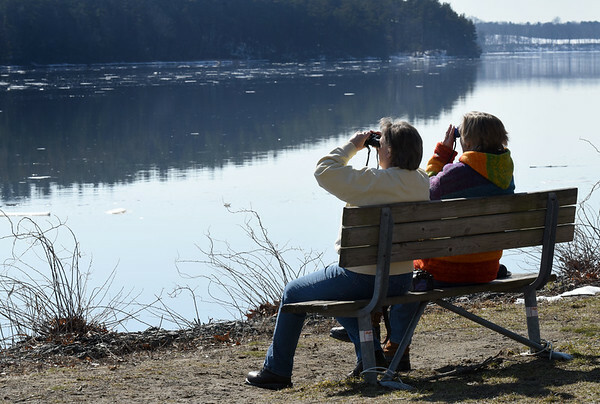 The two, from Ipswich, were scoping the Merrimack River for bald eagles.